You, or someone you know, needs a computer account. You're locked out of a lab or office, and you shouldn't be. You are new to CSE and are curious about all your new accounts. Changing passwords for the first time? Or did you forget your password? Please use the CSE Password Manager (https://password.cs.washington.edu). (Fac/Staff) Do you want to sponsor a Research Account or Research Guest Account? Find out more about which type fits best HERE. Please send an email to cardkey@cs. if you are having trouble accessing Allen Center or Sieg labs or rooms you believe you should have access to. Faculty, staff, grads and CSE majors will be granted a computer account (CSENetID) upon arrival. Your CSENetID will be matched to your UWNetID unless there is a conflict. Your CSENetID is permanent and cannot be changed except in rare circumstances. Please email support@cs with any questions surrounding this policy. CSE users may have accounts on a variety of hosts and domains. You may have differing credentials on different types of machines. The following briefly explains what sets of credentials there are and where they apply. Your "CSENetID" account is based upon a facility called "kerberos." When you type your login name and password to a Unix prompt and successfully log in, you have to use what we call your "kerberos credentials," your "kerberos password," or your "CSENetID account." Kerberos is characterized by its use of a set of authentication servers that validate your login. Each such server has the same data. That means that wherever you are when you login to a CSE machine that uses kerberos, your password is the same. Another key feature of kerberos is that your password never crosses a network channel in plain text. That means that it is not possible for somebody reading packets off our network to "sniff" your password using any known technique. CSE uses a "web login" single sign-on technology called "SAML 2.0" to control access to mildly-sensitive web resources. This technology also uses the credentials (in form of username/password or Kerberos tickets) associated with your CSENetID acount to authenticate you to the web service. You can change your CSENetID password using the kpasswd command at a Unix prompt, or with a web browser here. Of course, you'll need to know your existing password to do it. On the Microsoft Windows side, authentication is performed quite similarly to how it happens with Kerberos: your credentials are validated by a set of authentication servers, each of which are operating with the same data. Under ordinary circumstances, your password never crosses a network wire in plain text, so the authentication is secured from network sniffing. There is one authentication domain in the CSE Windows world: CSENETID. Your username is the same on all domains in which you have accounts (including the Unix-side kerberos), but your password may differ- both between the Windows domain, and from your kerberos password. Besides being used for authenticating to Windows CSENETID hosts, your CSENETID Windows credentials are also used to authenticate to Samba. Samba is the technology that we use to allow access to Unix file systems from Windows hosts, and underlies the NT DFS service when it is used to access Unix files. Microsoft Office 365® is a suite of "cloud services" offering Exchange®-based email and calendaring and a variety of online collaboration tools, including the SkyDrive® cloud-based file storage service. Every member of the CSE community has, or will have, an Office 365 account. Your username is <user>@cs.washington.edu (where <user> is the same username you use with your CSENetId and Windows domain accounts) and your password is whatever you set it to. Best practice is for that password to be different from your other passwords. To establish or change your Office 365 password, please email support@cs. Google Apps Education Edition (GAEE) is a suite of "cloud services" offering Gmail email and calendaring and a variety of online collaboration tools, including word processing, spreadsheets, web site creation, etc. Every member of the CSE community has a GAEE account. Web-based services in GAEE use a "single sign-on" facility based upon CSEcookie. 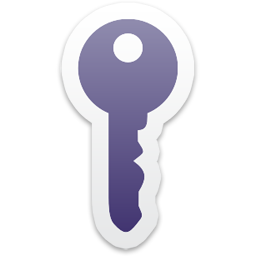 That allows you to use your CSENetId credentials to authenticate to those services. If you've already authenticated to a CSEcookie site in your current session (and within ten hours), you will not need to reauthenticate. For non-web services, such as IMAP or POP3 access to email using a "thick client" such as Thunderbird, you will use your Google-held account. Your username is <user>@cs.washington.edu (where <user> is the same username you use with your CSENetId and Windows domain accounts) and your password is whatever you set it to. Best practice is for that password to be different from your other passwords. To establish or change the password for your GAEE account, use a web browser to visit this tool. You will need your CSENetID password to prove your identity.